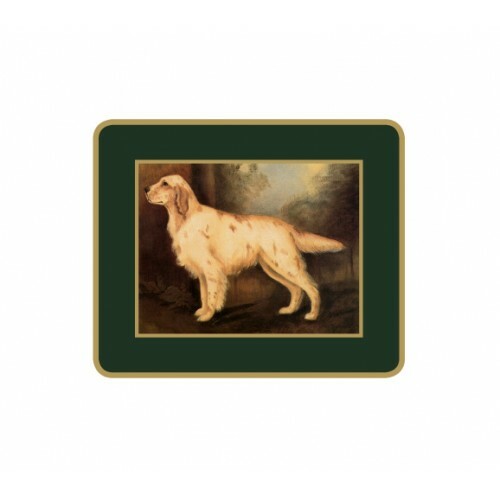 Boxed set of six Traditional Coasters Sporting Dogs on a Bottle Green painted background with hand gilded edges and green felt backing. Images by Alexandra Churchill. 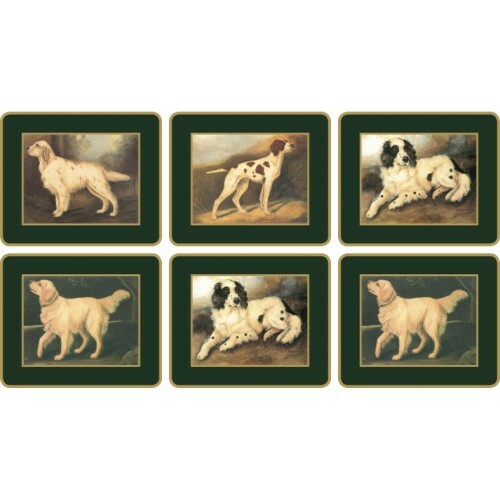 Note: This set features a combination of four different designs.